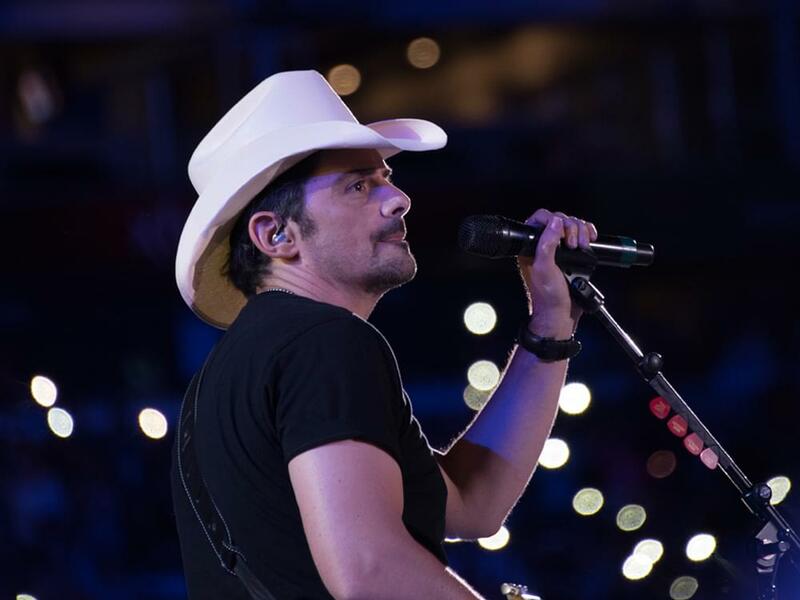 The Nashville Predators opened up their first game of the 2018 Stanley Cup Playoffs Series with Rascal Flatts performing the National Anthem, and on Saturday, April 14, they welcomed Brad Paisley to do the very same honor. Paisley performed a moving version of the Anthem, accompanying himself on guitar. And then, Paisley was ready to root the team on, as noted on his Twitter account. The Predators’ have a tradition of inviting country superstars to perform the National Anthem prior to their playoff games. To date they’ve hosted Underwood, Luke Bryan, Little Big Town and Trisha Yearwood, in addition to the Flatts. You can watch Paisley’s performance of the Anthem in the linked article below.